White Wolf : 8 Cities Change "Columbus Day" To "Indigenous People's Day"
8 Cities Change "Columbus Day" To "Indigenous People's Day"
Following a growing trend, the city council of Albuquerque, New Mexico has voted six to three to recognize October 12th – typically known to most as “Columbus Day” within the USA– as Indigenous Peoples’ day in a new proclamation. Albuquerque has the highest concentration of Indigenous people in New Mexico. 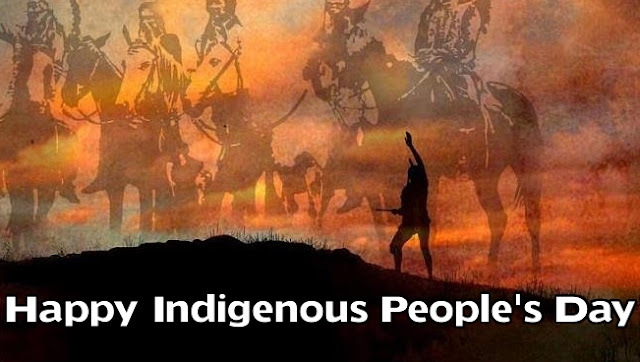 2- Lawrence, KS – Since September, students from Haskell University in Lawrence, Kansas have been taking initiative and pushing for the city to honor their ancestors by declaring October 12th Indigenous Peoples’ day. Just this Wednesday, they won. 3- Portland, OR – Portland’s City Council declared Indigenous Peoples’ day on Tuesday, something tribal leaders have been seeking since 1954. 4- St. Paul, MN – In August, St. Paul followed Minneapolis by declaring Indigenous Peoples’ Day instead of Columbus Day. Minneapolis passed its own resolution last year. 5- Bexar County, TX – The resolution was passed Tuesday, and local activists intend to press for the same thing in San Antonio. 6- Anadarko, OK – In September, Anadarko declared Indigenous Peoples’ Day. Anadarko Mayor Kyle Eastwood signed the proclamation while surrounded by tribal leaders from the Apache, Choctaw, Delaware, Wichita and others. 7- Olympia, WA – Mayor Pro Tem Nathaniel Jones presented Olympia’s proclamation at a rally in August. Nearly 150 people showed up to support the initiative. 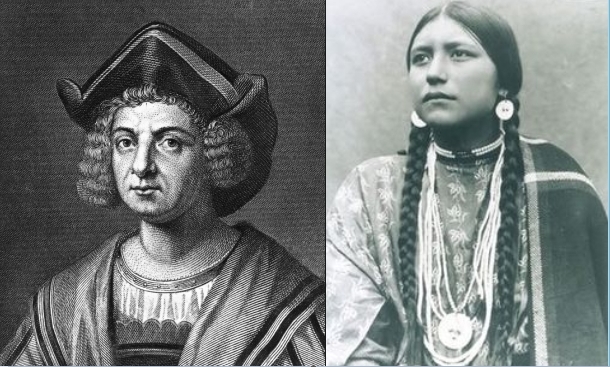 Responses to " 8 Cities Change "Columbus Day" To "Indigenous People's Day" "
OK California, it's our turn. Step Up! Ok Georgia, its our turn, time to celebrate truth. NYC get with the program We are Here and we know the Truth. Getting to the truth! Making changes - YES!!! HISTORY is no longer just HIS-STORY of it - YES - in the AGE of MATURATION for 5,000 years now, WE ... and it is GOOD :-) . When will we as a Nation apologize by given American Natives this day, instead of the man who brought annihilation to their ancestors. Okay Florida get with the program in honor of my grandmother who was full blood Chippewa I thank you in advance. I thank you, Christopher Columbus, for bringing European Civilization to the Americas. All the greek, roman and goth cultures, along with the spanish. 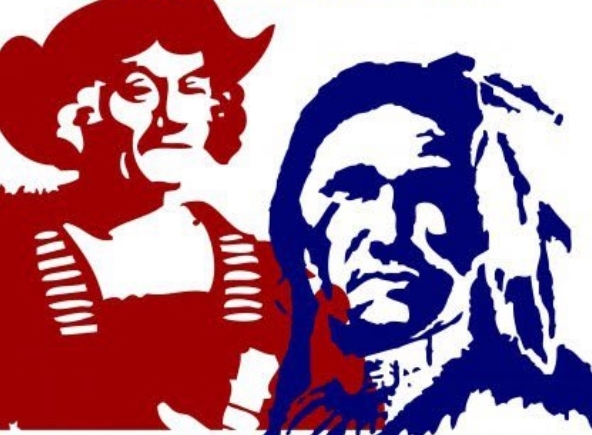 It was not his fault that the english killed millions of natives. In the rest of America , there are plenty of natives living and thriving. May they now also receive the respect that is due also! @richdad - Your amazing lack of historic awareness is evident when you cite English genocide as somehow more significant than the Spanish conquistadors who pillaged most of the hemisphere south from what is now Colorado and California in their quest for gold. My great grandmother's parents were each--half? Delaware/Lenni Lenape, so that makes me not even fifth generation, but it's important to me. They were, however, victim to the idea that they needed to be ashamed of their culture the way that other people who come to the US from other countries were made to be "Americanized", before there was more encouragement to actually celebrate diversity. So I don't have a lot of records or mementos. This right here is a good thing, and I'm so happy that people are becoming increasingly aware. Come on Colorado and Nebraska.. get with the program!! I am Lakota blood, was taken away from parents as a baby n raised by white man, never told truth until both parents dead, have no way of finding true parents, I'm 61 moons old now, but wish to be with my brothers n sisters at Standing Rock for that is where my bloodlines are! Get with it...The DMV (District of Columbia, Maryland & Virginia) area...stand up! Our little city of Belfast, Maine made the change last December, first community east of the Mississippi to do so. What a bunch of crap! It is and always will be Columbus Day!!!!!!!!!!!!!! Here is a more recent article, indicating as many as 25 cities have declared a "Indigenous Peoples Day"